Another day, another direct-to-video Nicolas Cage movie! Today we look at 2016’s The Trust, a crime thriller. Cops Jim Stone (Cage) and David Waters (Elijah Wood) work in the evidence department of the Las Vegas Police Department. One day Stone notices a bail receipt that indicates a local drug dealer possesses ample amounts of cash on hand. Stone conspires to find a way to steal the dealer’s money. He discovers the location of a secret vault, so he and Waters plot to get to it and abscond with its contents. Though Benjamin Brewer enjoys one prior credit, The Trust acts as the debut of his pairing with brother Alex. While not a great film, Trust works well enough to indicate that the Brewers show promise. Whether consciously or not, the Brewers seem to channel another pair of brothers: the Coens. With its skewed comedic tone and focus on a robbery committed by a couple of semi-sad sacks, comparisons to the Coens become inevitable. The presence of Nicolas Cage and the desert setting also hearken back to the Coens’ Raising Arizona in a possibly not-coincidental manner. This may look like the Brewers wear their influences too much on their sleeves – and they might. Still, I don’t think Trust comes off as an obvious Coens rip-off – it manages to create its own identity. Heck, even if Trust did flaunt its Coens vibe, I might not care just because it’s great to see Cage look like he’s having fun for once. The film echoes 80s Cage, the guy who imbued his films with an unhinged, idiosyncratic vibe. Somewhere along the way, Cage lost that feel. He’d still offer unconventional readings, but Cage seemed to become bored with filmmaking – perhaps because he clearly took so many movies just for paychecks. Cage sleepwalked through an awful lot of films, so I find it refreshing to see him look engaged. Wood seems less interesting, but he does fine in his role. Like Cage, Wood also appears to find himself in more than his fair share of direct-to-video offerings, but he delivers a pretty engaged performance. Throw in a small role for Jerry Lewis and the cast adds to the experience. Trust does lose energy in its second half. After a peppy opening that sets up the characters, situations and general vibe, the movie gets by on momentum for a while, but it sputters a bit once the leads enact the actual crime. Some of this comes from a darker tone that doesn’t quite fit the rest of the flick. Even so, The Trust still manages to provide a fairly engaging crime comedy. A good performance from Nicolas Cage and mostly deft storytelling allow it to keep us entertained. The Trust appears in an aspect ratio of approximately 1.85:1 on this Blu-Ray Disc. This was an up and down transfer, but it usually looked fine. Sharpness was the least consistent aspect of the image. Though most of the flick looked accurate and concise, exceptions occurred. The movie could seem strangely soft at times, and not for obvious stylistic reasons. Despite those instances, I felt the majority of the movie offered nice clarity. No issues with jaggies or moiré effects materialized, and edge haloes were absent. Source flaws failed to become a factor here. In terms of palette, Trust went with a stylized look. In an unsurprising move, the film emphasized orange and teal to a substantial degree. Those tones seemed acceptable given their limitations. Blacks were reasonably dark and tight, while shadows showed decent to good delineation. Overall, the image looked acceptable, though the issues with sharpness led me to a “B-“ grade. When I examined the DTS-HD MA 5.1 soundtrack of Trust, I thought it was moderately active and involving. Fairly chatty for a heist movie, the mix used music and atmosphere to nice advantage. These elements created a good sense of place and movement that brought us a decent soundscape, but most obvious action elements failed to appear. Audio quality was fine. Speech was reasonably crisp and natural, and effects showed good punch. Music was also clear and full. The soundtrack didn’t excel but it connected with the material. A few extras flesh out the disc, and we get an audio commentary with directors Alex and Benjamin Brewer. The brothers sit together for a running, screen-specific look at story/characters, influences, cast and performances, music, sets and locations, camerawork, and connected elements. For the most part, the brothers offer a pretty good chat. It takes them a while to get into a groove, but once that occurs, they deliver a fairly involving examination of their film. They toss in funny asides and make this a better than average commentary. Two featurettes follow. The Dynamics of a Duo runs five minutes, 38 seconds and offers info from Alex and Benjamin Brewer, producer Braxton Pope, and actors Nicolas Cage and Elijah Wood. We get notes about cast, characters and performances. A couple of minor tidbits emerge but most of “Duo” sticks with promotional fluff. The Visuals of Vegas goes for five minutes, 27 seconds and features Cage, Wood, Alex and Benjamin Brewer, and Pope. “Visuals” looks at cinematography and shooting in Las Vegas. It has more substance than “Duo” but remains fairly superficial. The disc opens with ads for I Am Wrath, Criminal, Heist, American Heist and Joe. No trailer for The Trust appears here. After so many bad films over the years, I lost a lot of faith in Nicolas Cage. 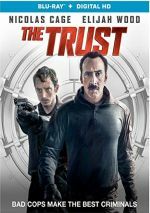 Happily, The Trust shows him in a positive light, as the comedic heist movie presents a fairly entertaining tale. 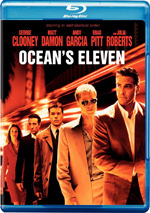 The Blu-ray offers decent picture and audio as well as a largely entertaining commentary. While not a classic, The Trust works pretty well.